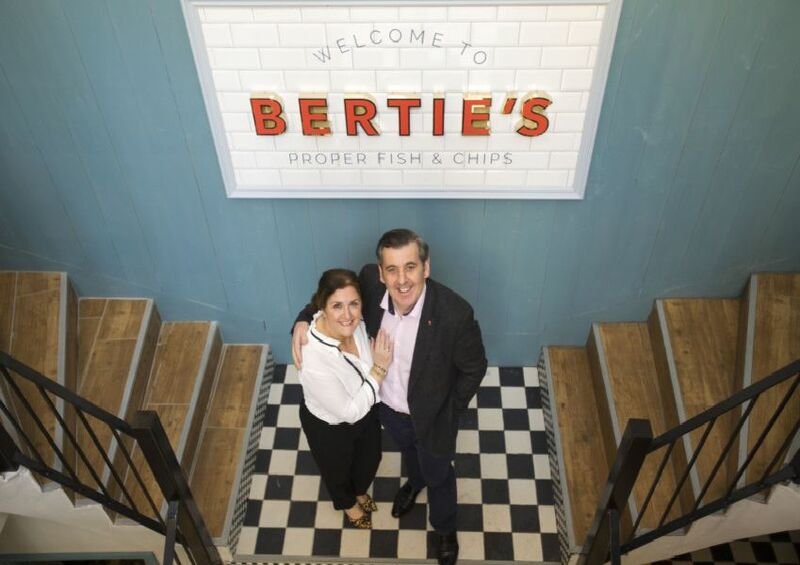 Dubbed as Scotland’s biggest chippy, Bertie’s is situated in the heart of Edinburgh in the landmark St John’s Church building, formerly Khushi’s Indian restaurant. Owner Tony Crolla said the 300-cover restaurant, open from this week, will offer an affordable menu which "reinvented" classic chip shop dishes. 2. Buckfast and gin cocktail, anyone? Bertie's bar will offer a range of innovative cocktails, including the unique combination of gin and Buckfast. A range of special sketches by award-winning former Evening News cartoonist Frank Boyle encircle the staircase leading up to the upper seating deck. The two-floor building has been given a retro-style makeover, offering diners the chance to enjoy traditional chippy fare in a modern "beach-chic" style setting.